A vacay with relaxing spa experiences, perfect chocolate, cheese, wine, and lovely lake and mountain views? Yes, please! 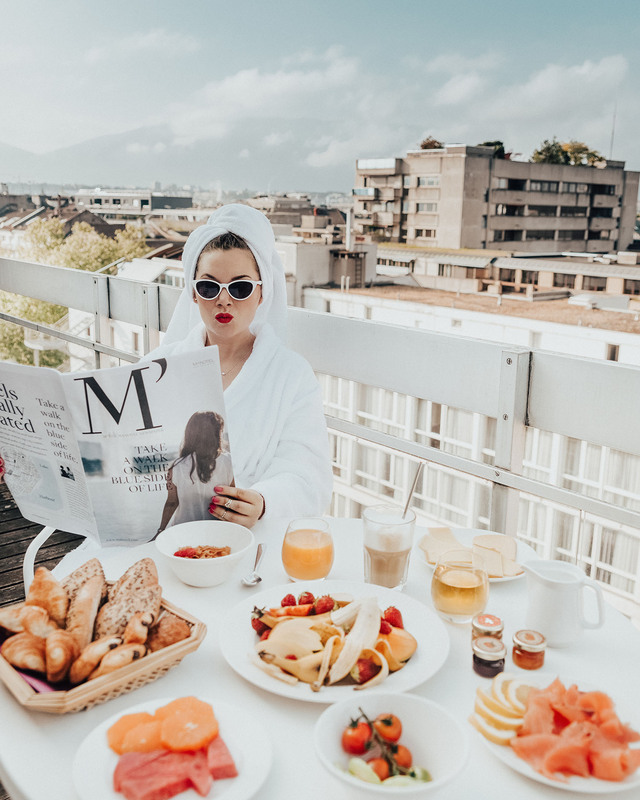 Discover what to do, where to eat and where to stay in this first timer’s guide to Geneva, Switzerland. 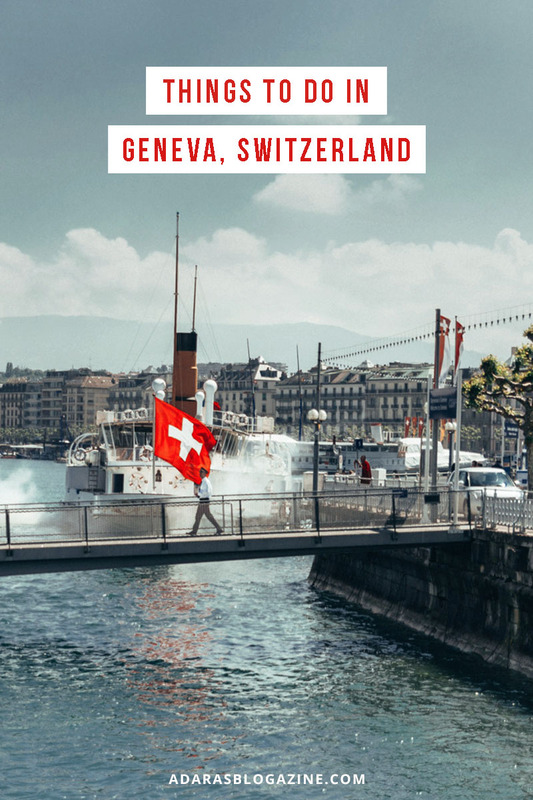 Switzerland has always been on my bucket list, so I was very excited when Helena Gunnare and I got invited to explore Geneva on our own a weekend in May*. One of the things that surprised me the most is how beautiful and chic the whole city is. 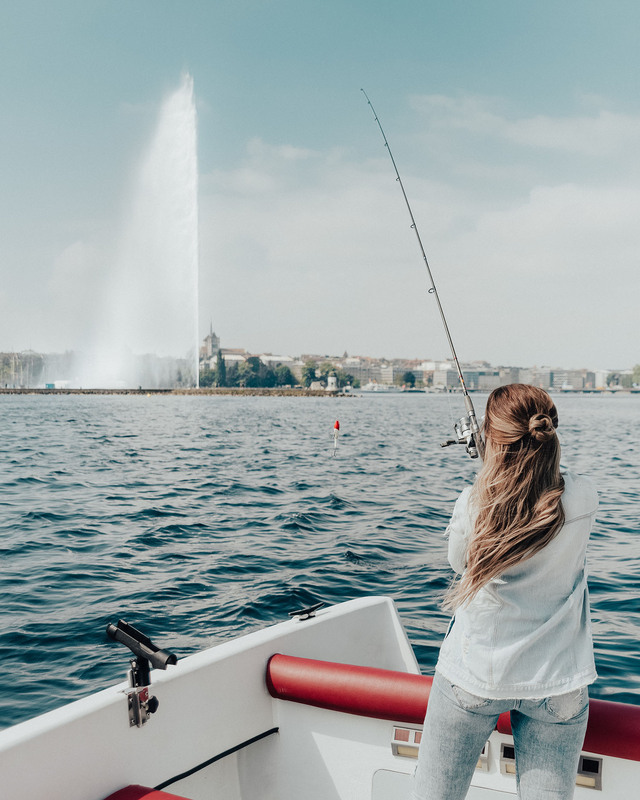 Geneva is located alongside the sparkling blue Lake Geneva and surrounded by the striking mountain ranges of Jura Mountains and the Alps (you can even spot Mont Blanc – the highest mountain in the Alps!). 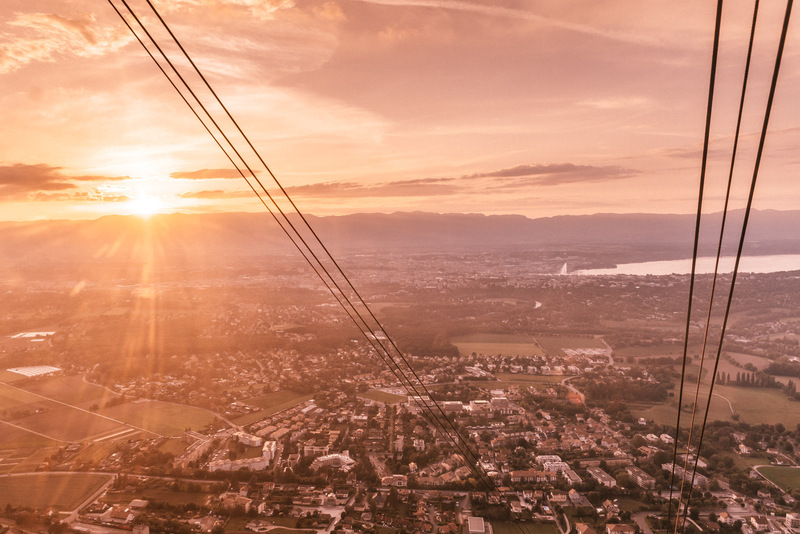 Geneva is the second-largest city in Switzerland and a city with 2000 years of history. 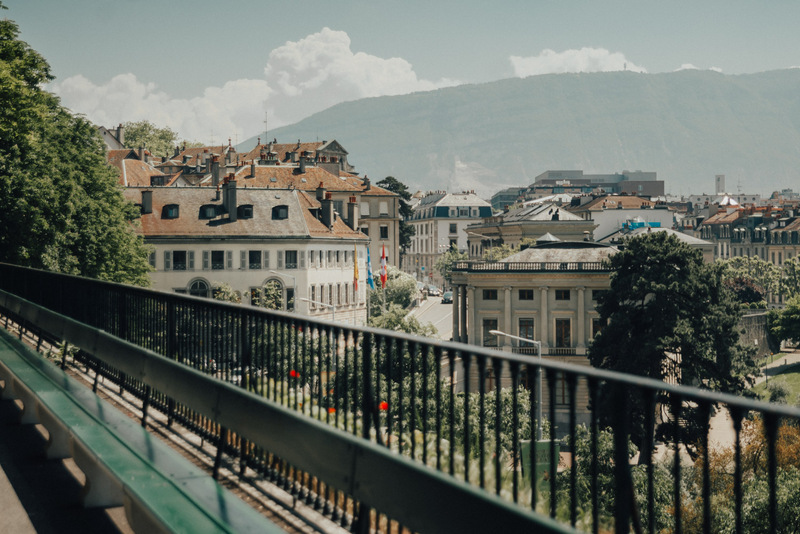 It’s the birthplace of fine Swiss watchmaking and home to numerous museums and galleries, luxury hotels, jewelers, the UN’s European office and the headquarters of the Red Cross. Also, the city is so clean, the buildings are so pretty and the atmosphere is so relaxing and lovely. 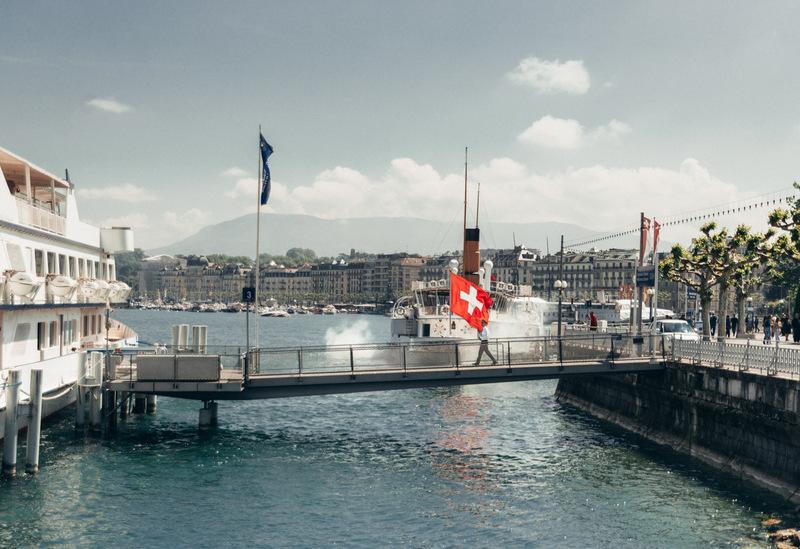 In short, Geneva is a perfect chic getaway! A weekend trip is fine, but I think you too would love to stay longer. Even the train and tram station in Geneva is chic! 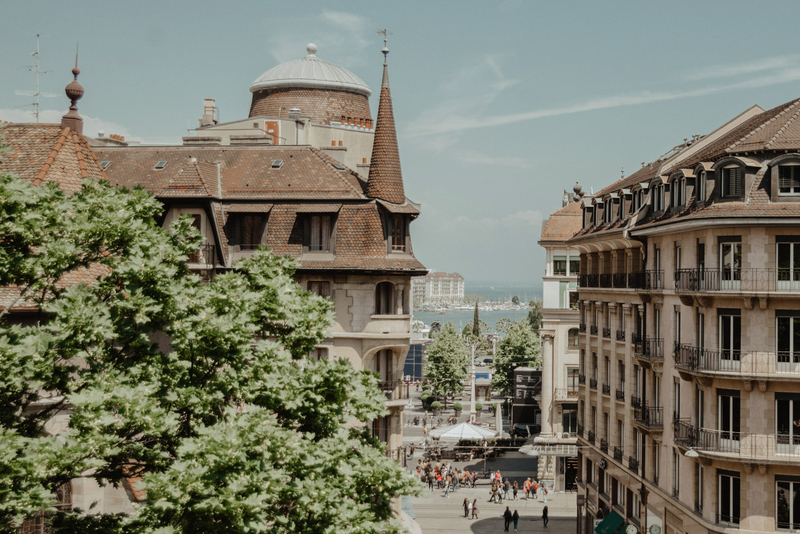 Geneva is a French-speaking city, but you can get around quite well with English too. However, in some restaurants, for example, you might not get an English menu. So be ready with Google translate in case you don’t speak any French. 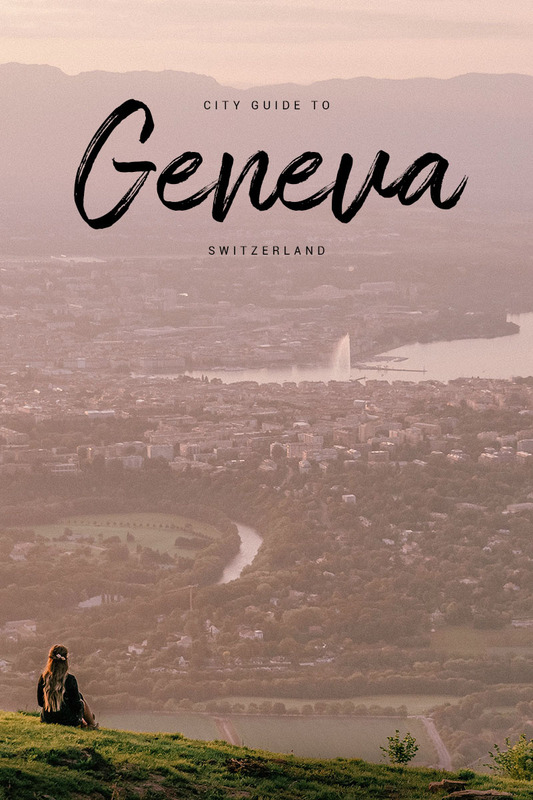 If you want to do a lot of exploring you can buy a Geneva Pass (for 1, 2 or 3 days) for lots of free and discounted attractions and activities. The currency used in Switzerland is the Swiss franc. 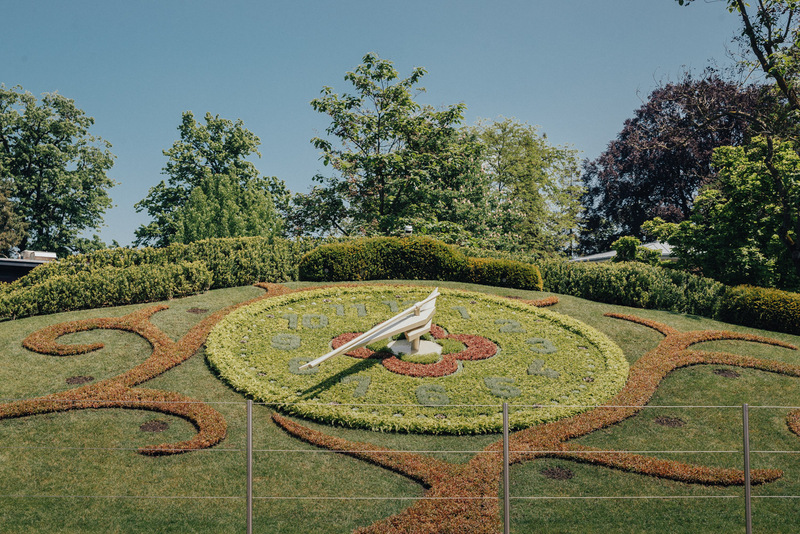 Once you arrive at Geneva Airport, you can be in the city center in under ten minutes (!). 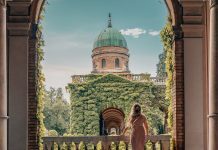 You can get a free train ticket and jump on a 7-minute train ride to the city center (shortest trip in Europe!). The ticket machines are in the luggage retrieval hall, on the left. 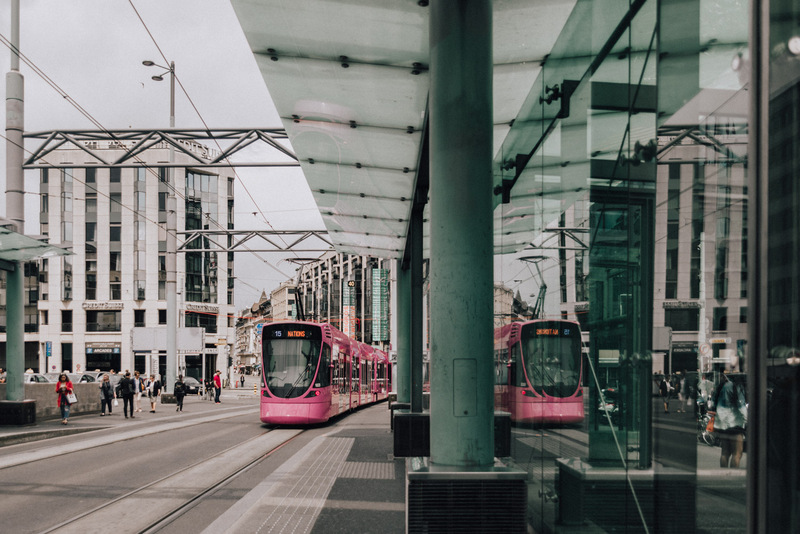 Public transportation is FREE for tourists: When you’re staying in a hotel, youth hostel or a campsite, you will receive a free “Geneva Transport Card” (for bus, train, tram, and boats). It will even do if you want to jump on a “Mouette”, a cute yellow taxi boat and get to another side of the lake. 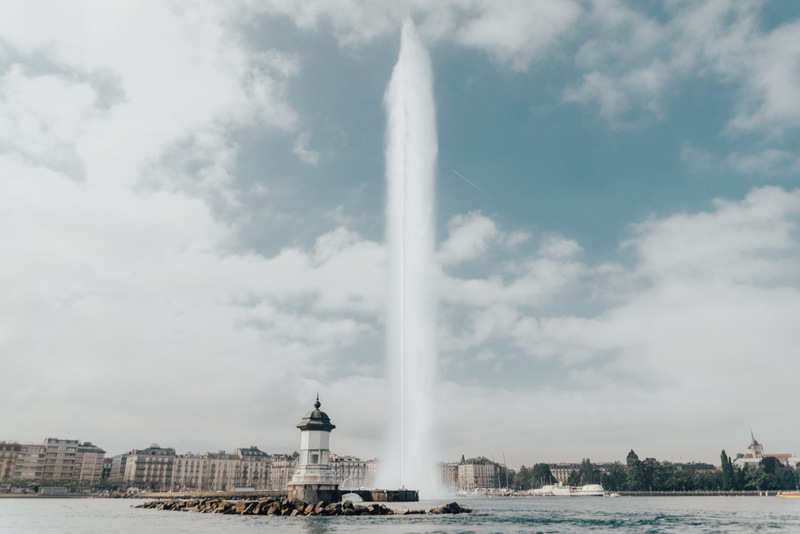 One impossible thing to miss in Geneva (literally) is the famous landmark Jet d’eau. 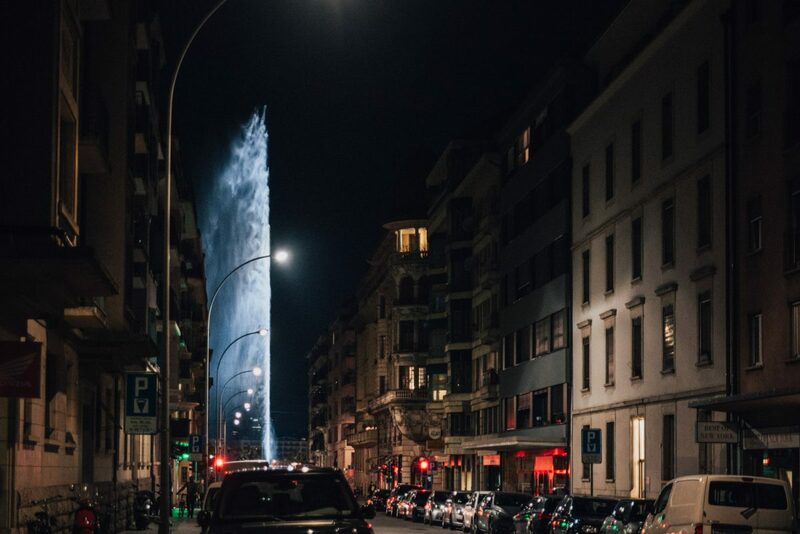 This vast fountain pushes 500 liters of water every second up to an altitude of 140 meters. This at a speed of 200 km per hour. The huge water beam makes it also very easy to navigate around the city, as you can spot the jet from almost anywhere. Cute shops, markets, fountains, secret gardens and lots of flowers. 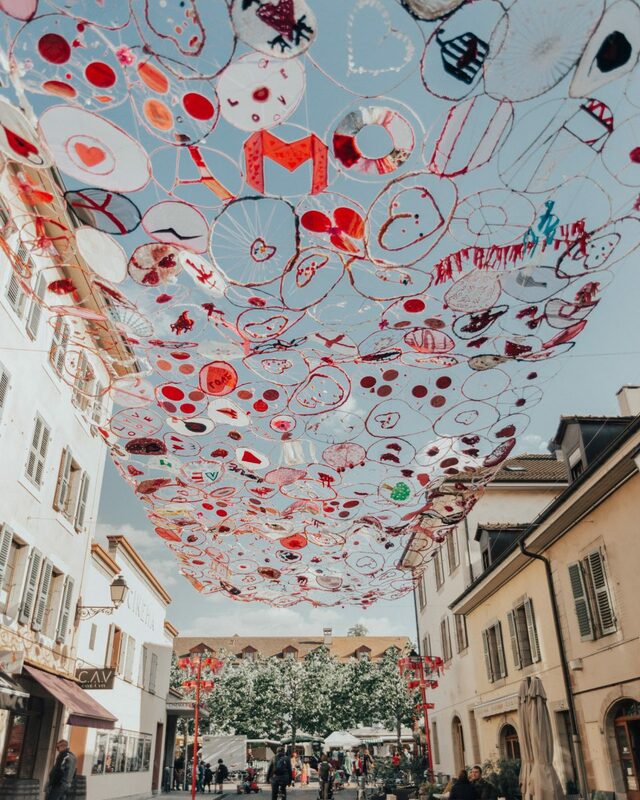 The bohemian district Carouge is also known as the “Greenwich Village of Geneva.” With 18th century Italian styled houses and Mediterranean ambiance, this is a lovely place to just stroll around. The many small boutiques, designers, arts and crafts shops also make this an excellent place for more relaxed and unique shopping. 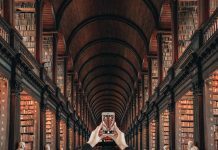 This is also where you’ll find Instagram-worthy photo places around every corner. Make the most out of your relaxing holiday by pampering yourself! 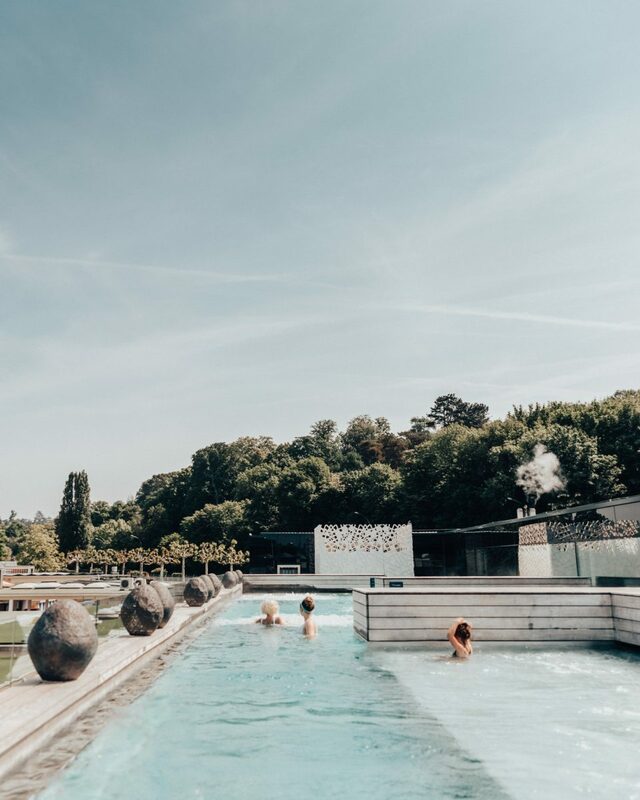 It was an absolute pleasure to step into Bain-Bleu Hammam & Spa Genève-Plage‘s relaxing world with jacuzzis, whirlpools, massage jets and bubble loungers. 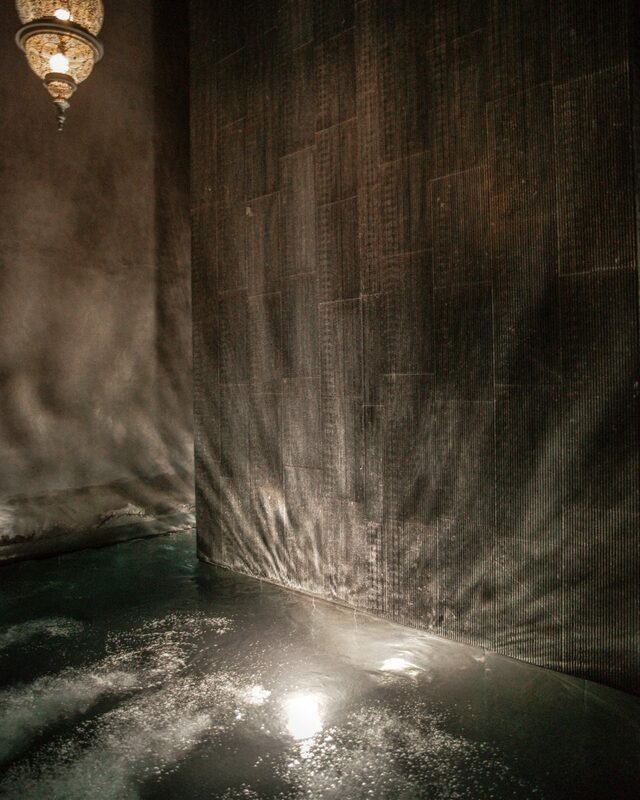 Soothe your body and mind with a massage or a 1 1/2 hour hammam session. Or just enjoy the indoor and outdoor pools. 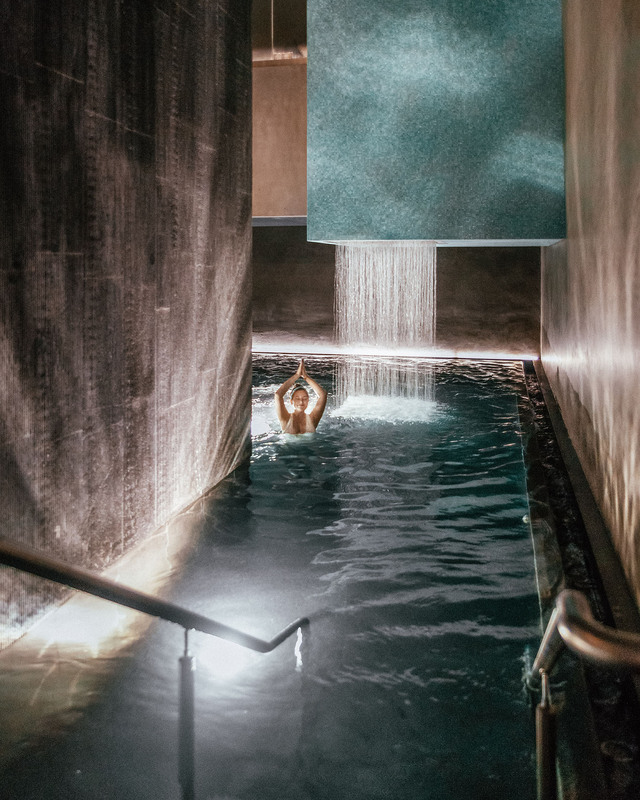 I think the dark-tiled indoor pool was so stunning with its waterfall and Eastern lamps that made the light cascade beautifully on the walls. One thing to keep in mind is that this place can get very busy during the day, so a great tip is to get here when the place opens and enjoy it before the crowds. How gorgeous? 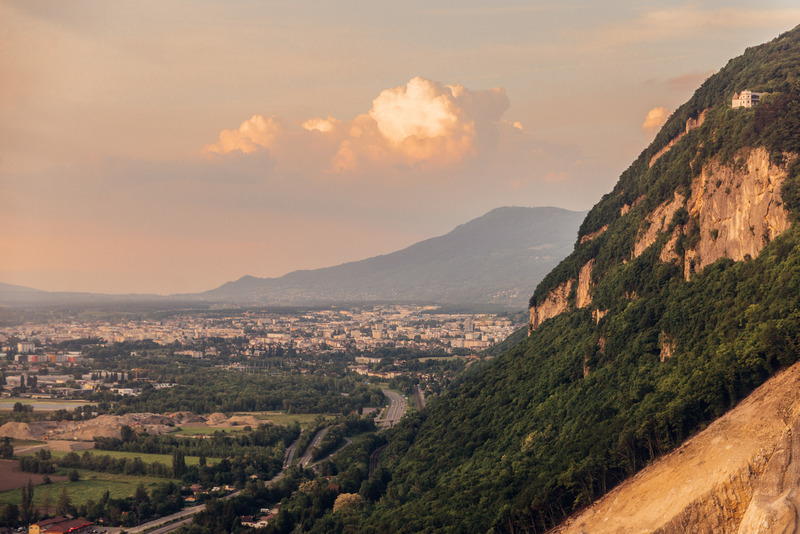 Just across the French border is Mont Salève, also known as “The Balcony of Geneva.” I think it’s a MUST to head up here in time for sunset. You just have to take a 20-minute bus ride with bus no. 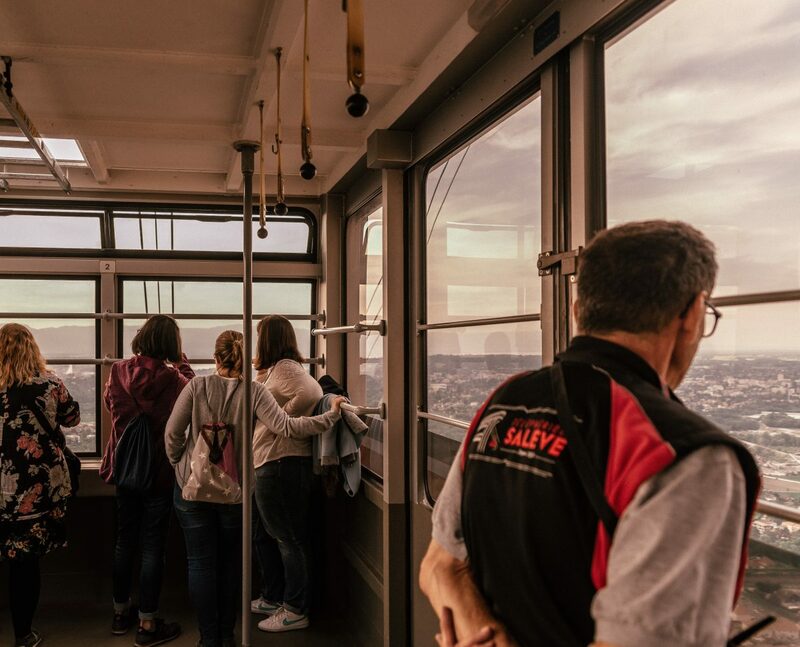 8 (direction “Veyvrier) to the terminal stop, walk across the border and get a cable car that carries you to an altitude of 1100 meter in less than five minutes. The views are breathtaking. 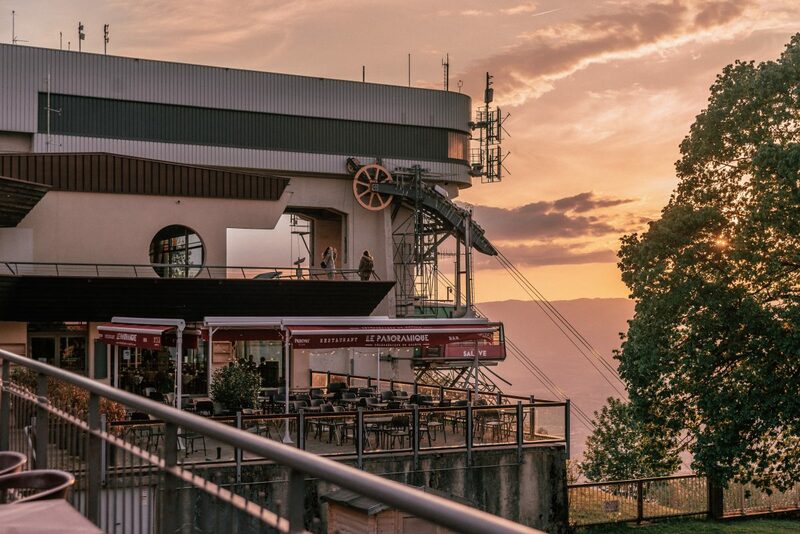 Mont Salève is also known as a playground for sports lovers. You can go paragliding, mountain biking, climbing, trekking, or cross-country skiing in winter. 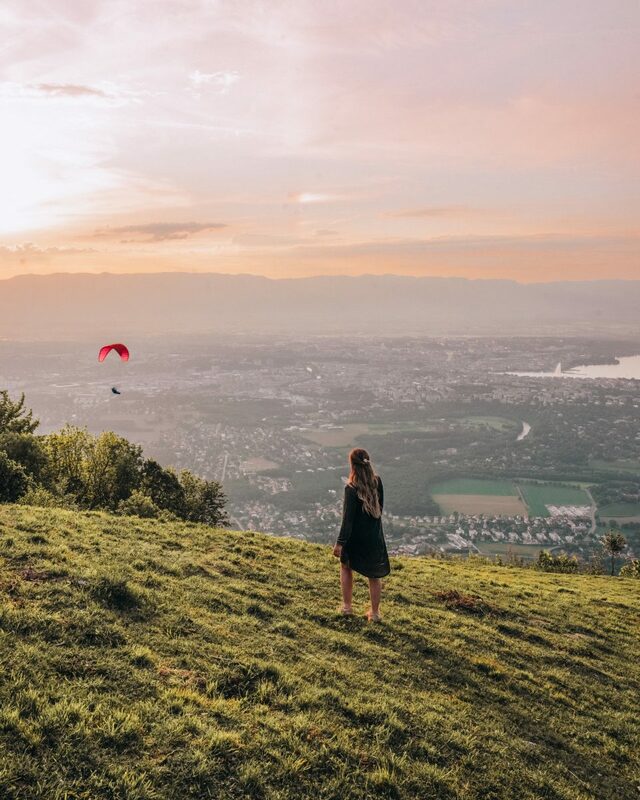 When Helena and I were there, we saw many people paragliding. I tried not to be too jealous. 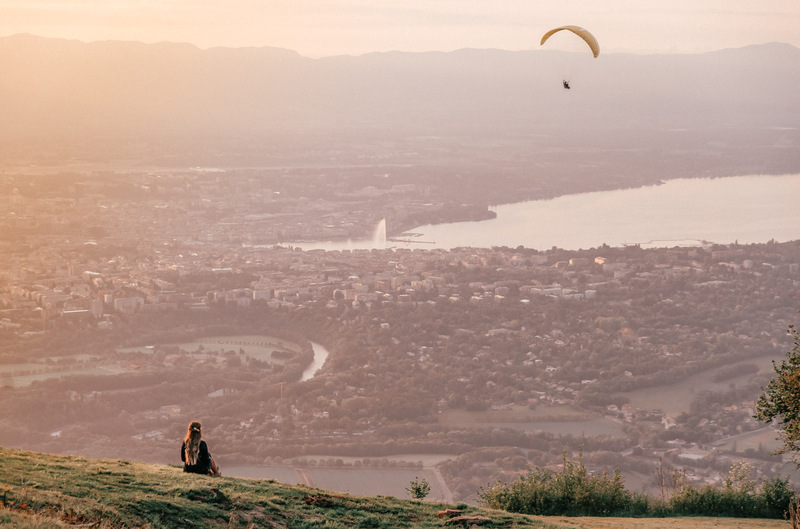 It looked beyond romantic to paraglide into the sunset with Jet d’eau dancing in the background. 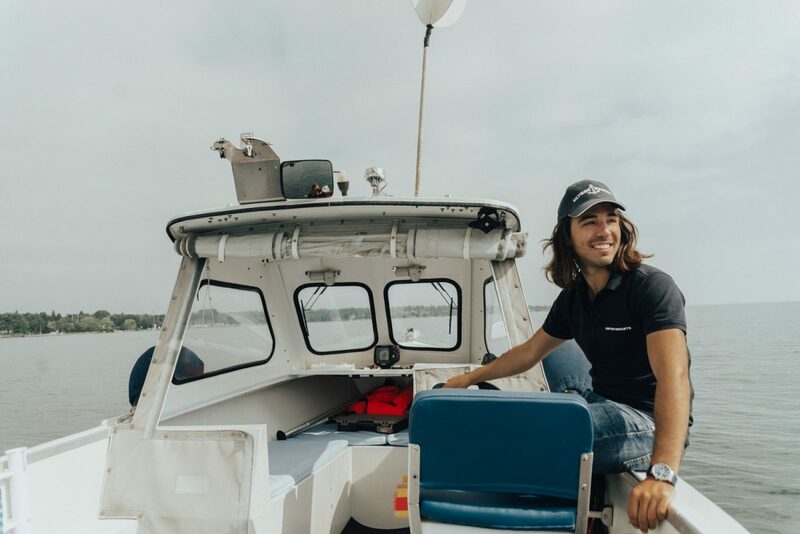 When going on a fishing boat trip, you only have to sit back and relax as the fishing equipment is attached to the boat. But I had to pose with this for the photo! Lake Geneva is one of the largest lakes in Western Europe. 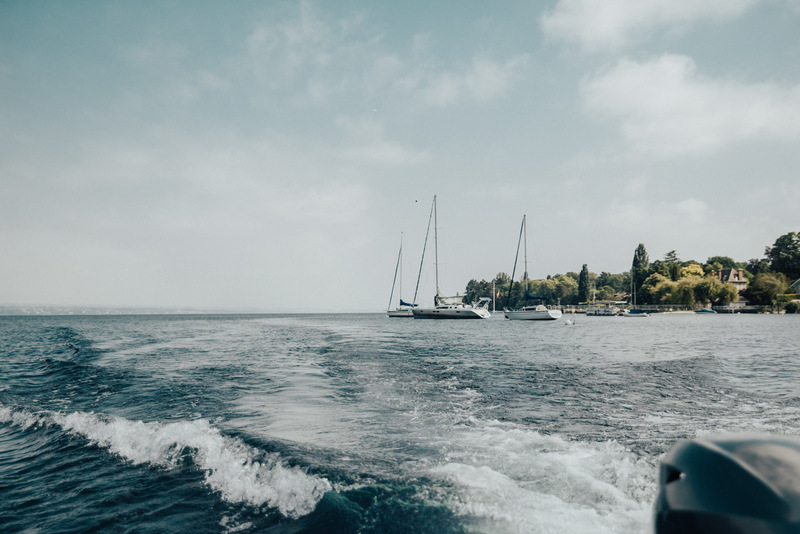 I think one of the best things you can do in Geneva is going on a boat trip. Or a private boat fishing trip! 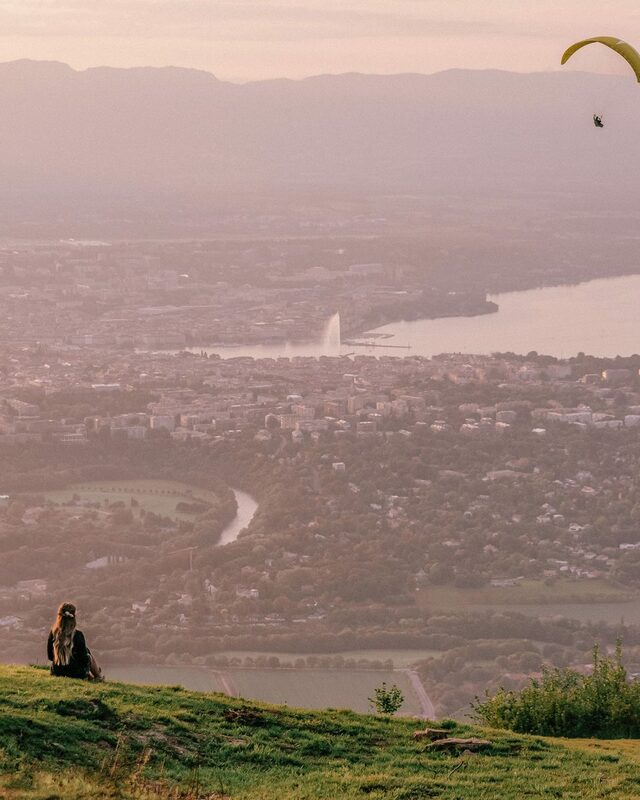 It’s so cool to explore Geneva from another angle. 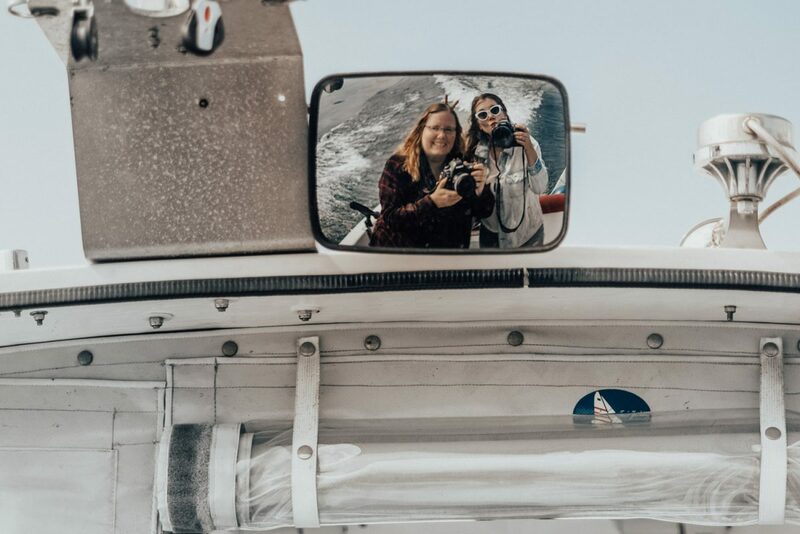 Helena and I headed out with Geneva Boats to try to catch some Char, Fera, Perch, Pike or Lake Trout. 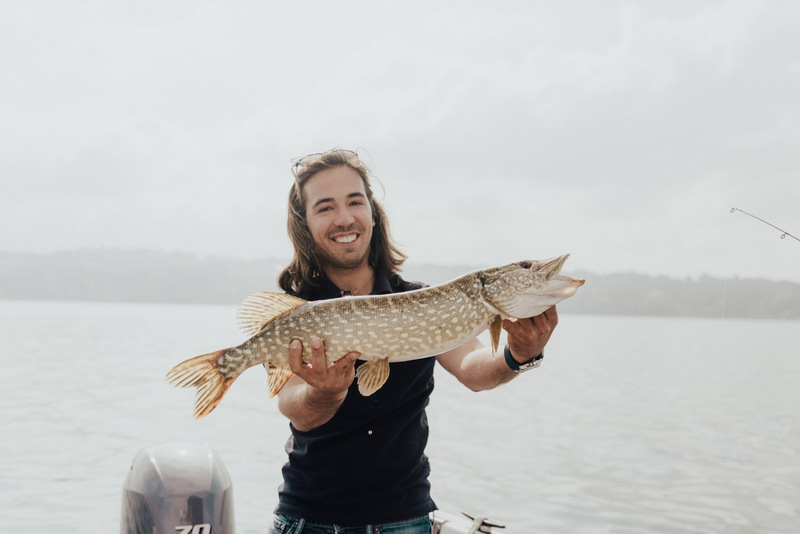 We actually caught a giant Pike after about 20 minutes of just enjoying the sun and weather (you can just sit back and relax while you are “fishing”). 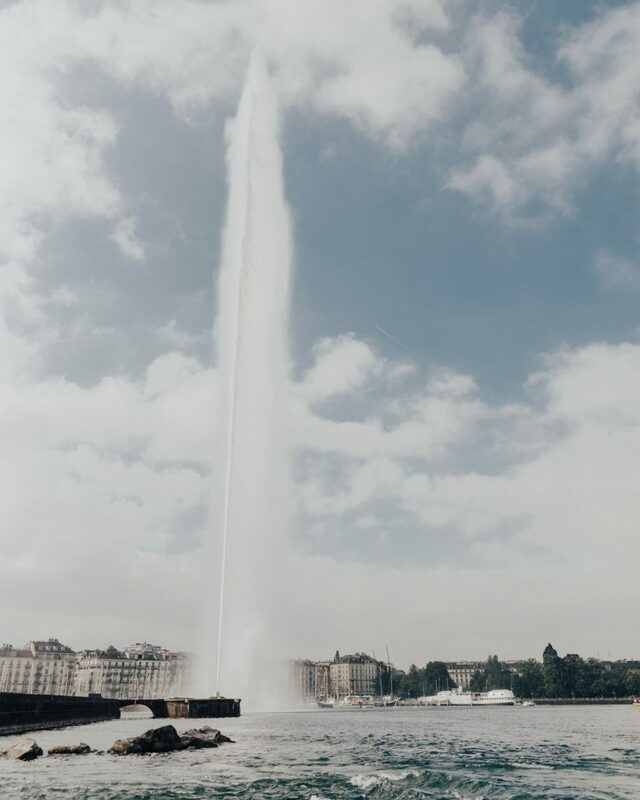 We also saw Jet d’eau up close (it’s so impressive), felt the wind in our hairs, took lots of photos, and just had a great time with Balthazar Witzig from Geneva Boats. 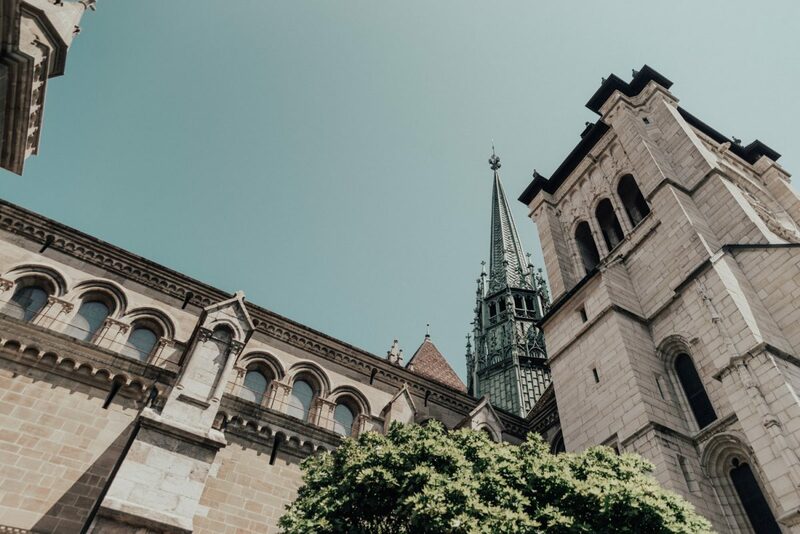 Geneva’s Old Town is classed as a national heritage site. Take some time to just stroll along the winding cobbled street area with its hidden courtyards, antique shops, small cafés, and bars. Cheese melted in white wine … could there be anything more delicious? Cheese fondue is hugely popular in Switzerland. Hardly surprising giving that the country is a proud and world-famous producer of many varieties of cheeses. 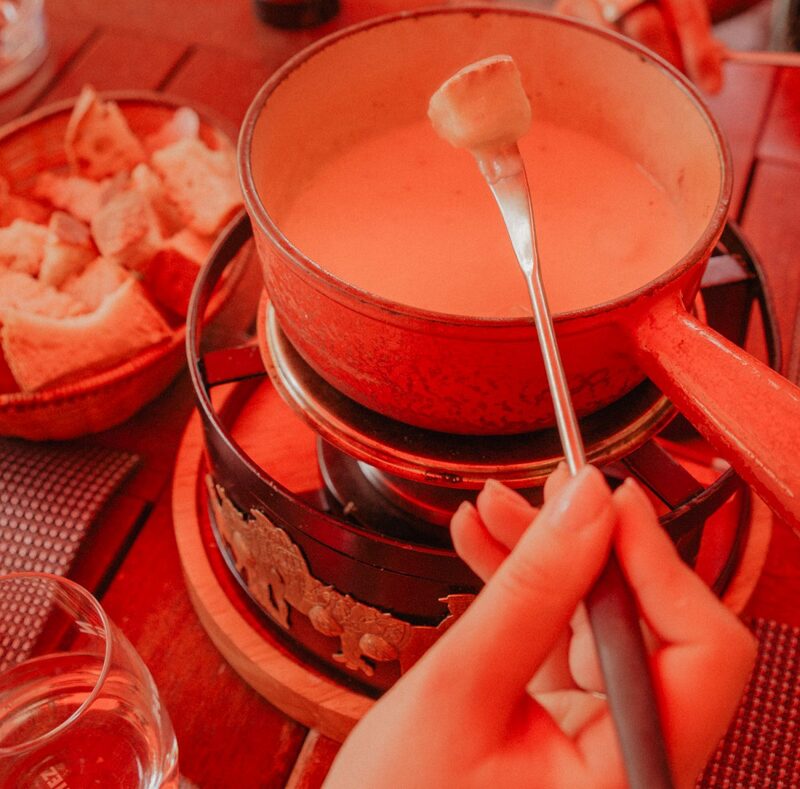 Even though cheese fondue is traditionally an alpine dish, it’s not difficult to find fondues on the menu in Geneva. 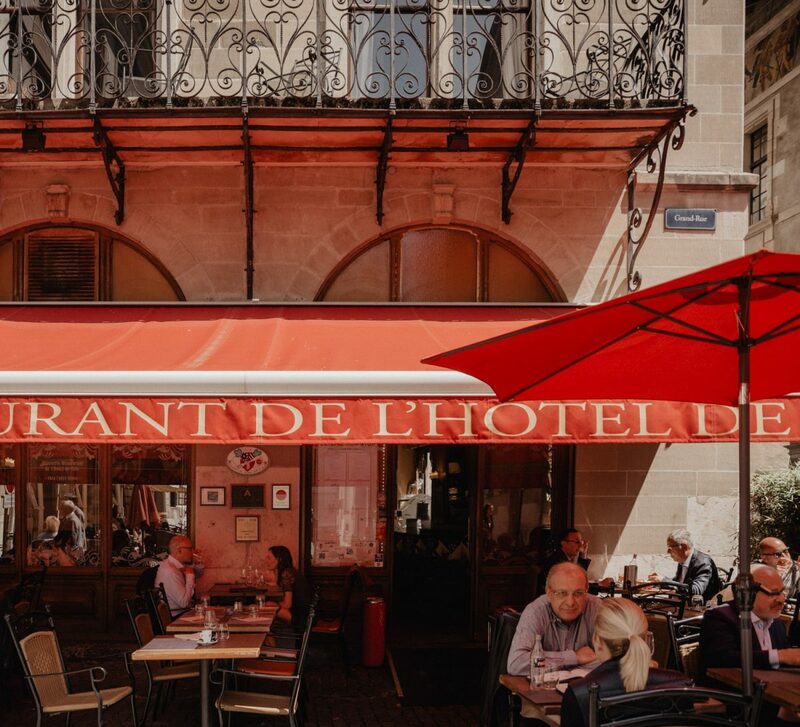 After some hours of exploring by foot, we grabbed an outdoor-seat at Brasserie de l’Hotel de Ville. The fondue was soooo delicious! Oh my god. To eat fondue like a Swiss, don’t drink anything but hot black tea, white wine or kirsch for your fondue meal. According to Swiss lore, any other drink will cause the melted cheese to form a giant ball in your stomach (ugh! – Stay safe). Behind Geneva’s city hall is La Treille Park, that’s lined by, (debatably), the longest wooden bench in the world. 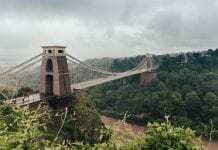 Built in 1767, the bench is 120 meters long (413 feet). Take a photo by the bench, rest your feet or just enjoy the beautiful view for a minute or two. 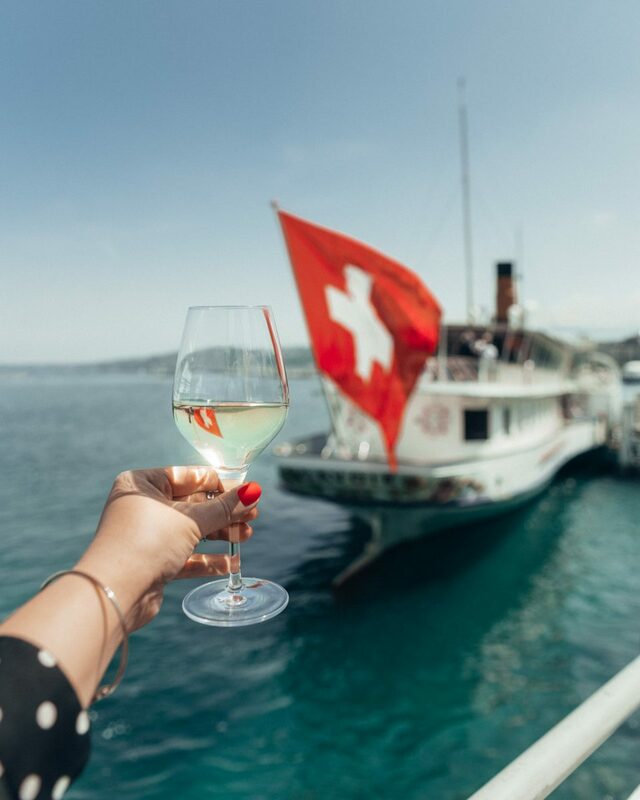 Geneva is surrounded by vineyards and is Switzerland’s third wine-producing canton. 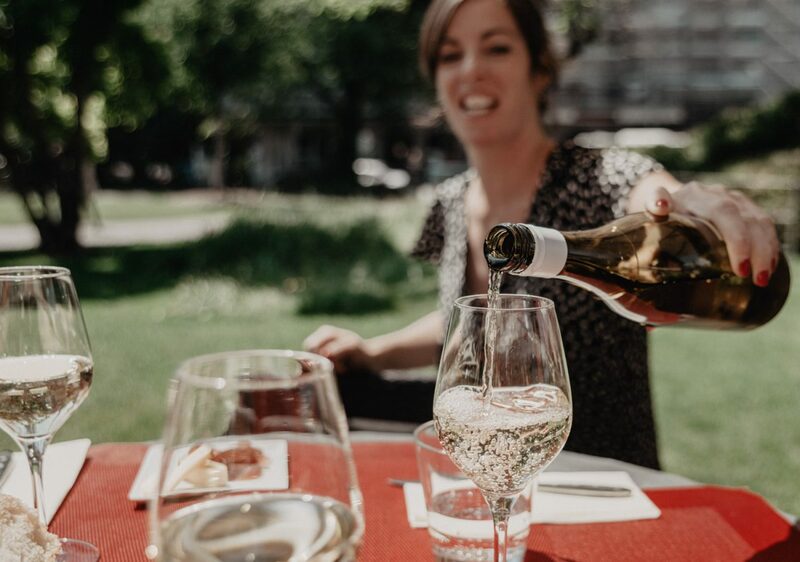 So if you enjoy a glass of wine, you’ll definitely want to try one of the local brands. 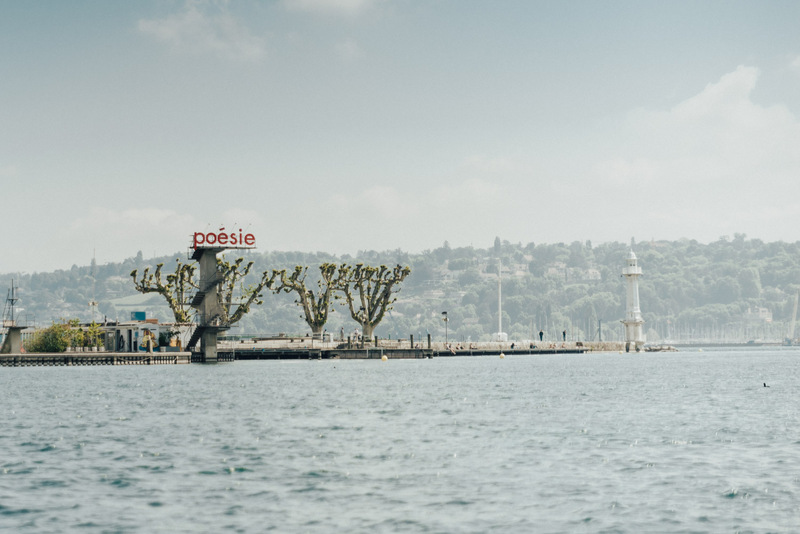 A lovely restaurant with a perfect location by the lake is La Potinière. 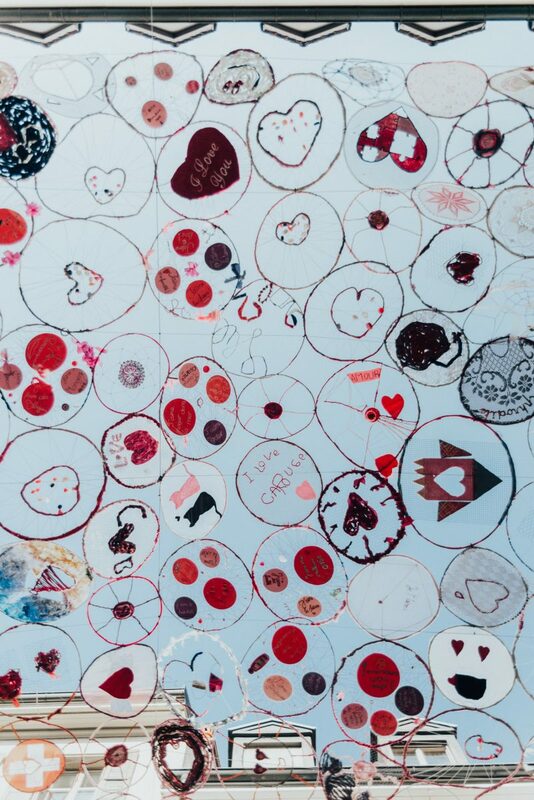 We took a seat on the sunny terrace to try some great cheese and wine. I felt so Swiss! 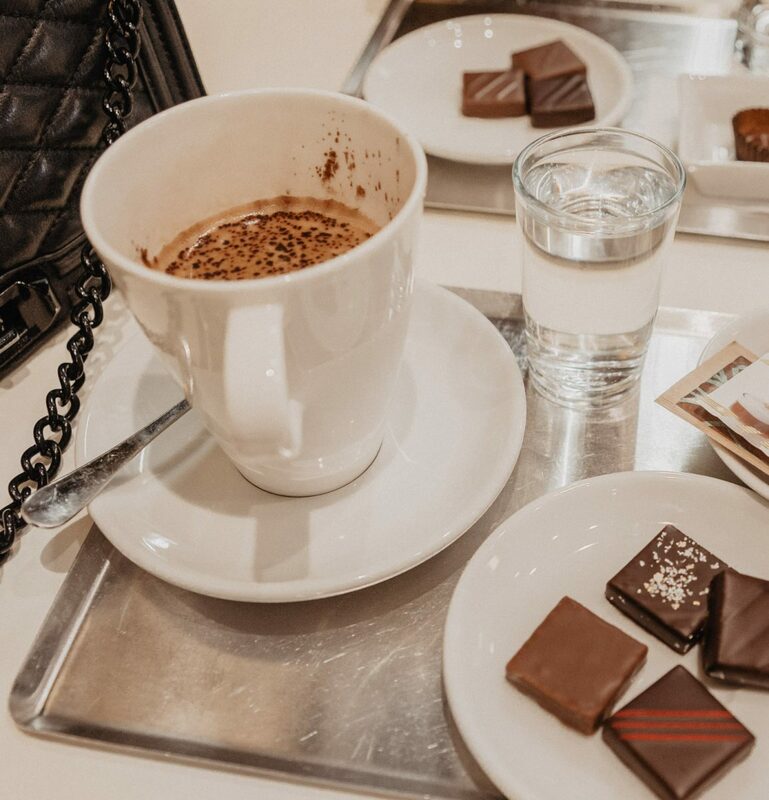 Forget coffee break, in Switzerland, you need a proper chocolate break (can, of course, be combined with a coffee as well!). There are lots of chocolatiers in Geneva. 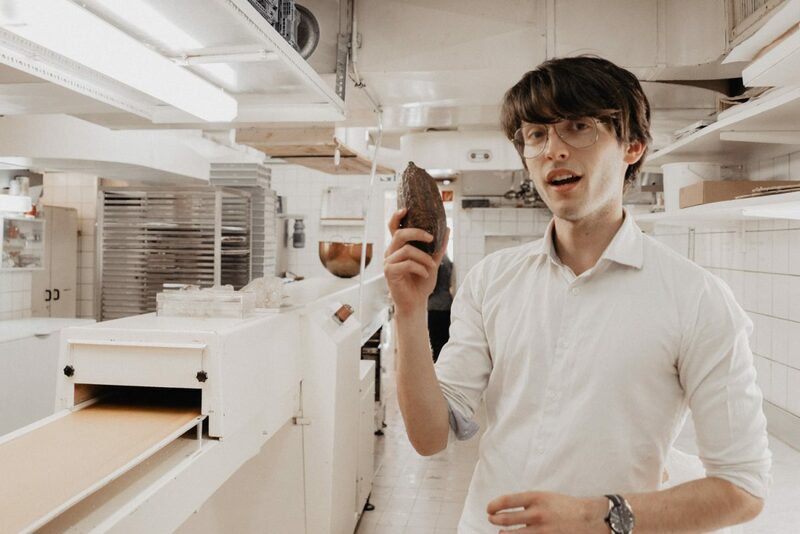 We had a little chocolate tasting at Du Rhone Chocolatier, which has made luxury chocolate since 1875. 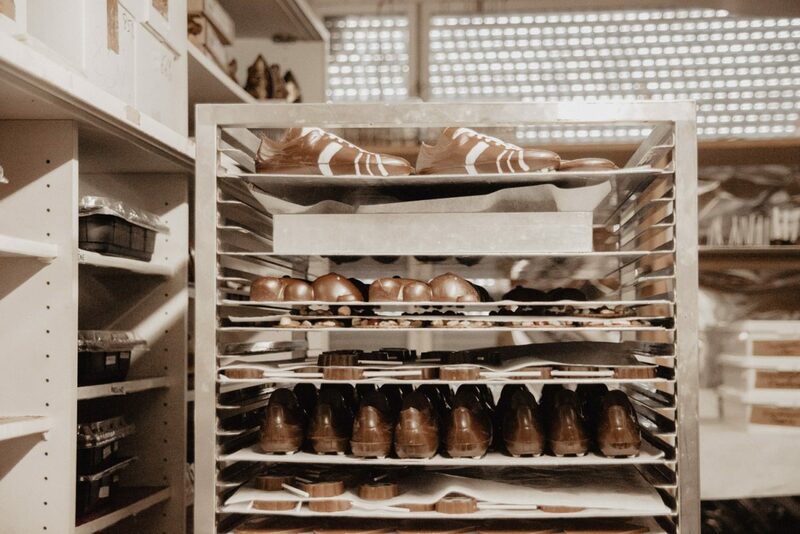 Here you can find handmade pralines, truffles, moccas and lots of other chocolate specialties. Helena and I even took a little sneak peak upstairs to see how the chocolate is made before we decided on four different chocolate pieces to try each. I spotted chocolate with my name on it, “Ida,” which I just had to try. It was so yummy! 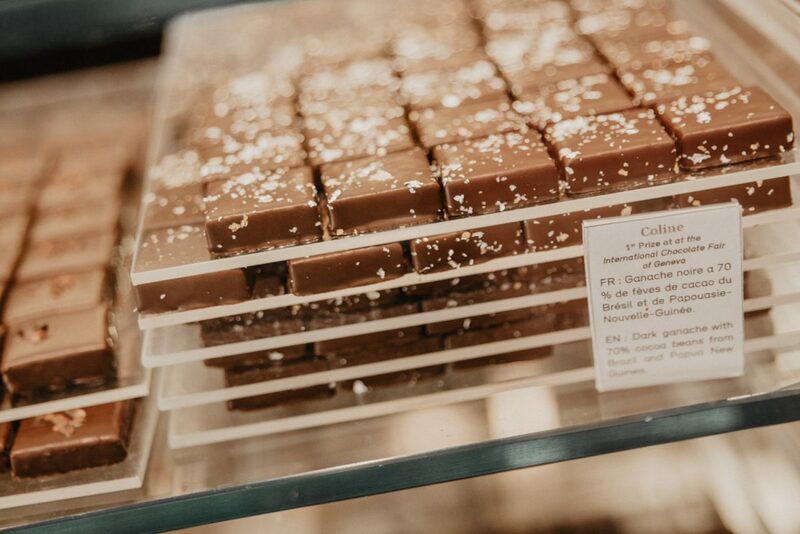 Even though my favorite chocolate turned out to be the award-winning chocolate praline called “Coline,” decorated with gold and silver dust. Sea la vie! Or rather, lake la vie. 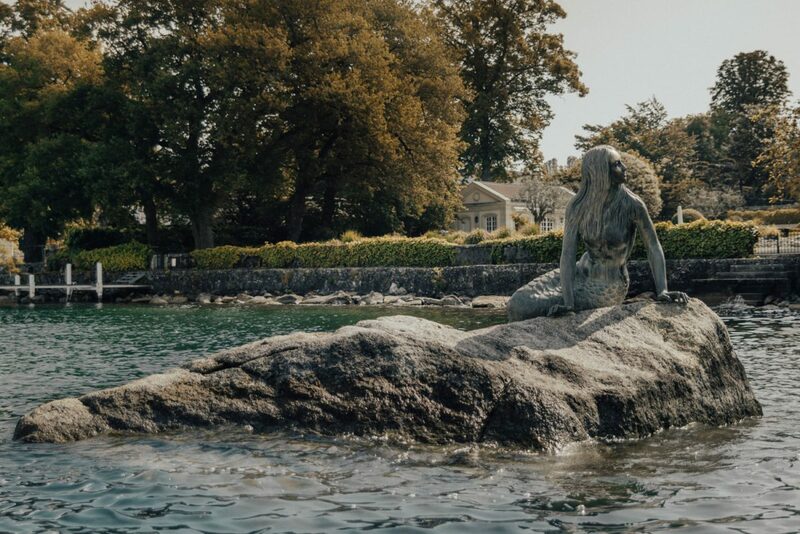 Make sure to enjoy the stunning lake views and atmosphere by Lake Geneva. One of the most popular spots is the lively Les Bains des Pâquis, which attract people all year long. 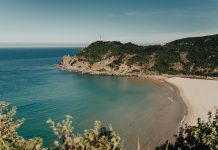 During hot summer days, this is where people come to swim, sunbathe, eat ice cream, hang out by the beach and try different summer activities. 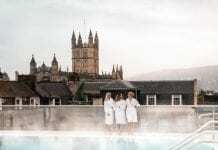 During winter you can warm up with saunas, hammam, and Turkish baths, and try one of the best cheese fondues in town. 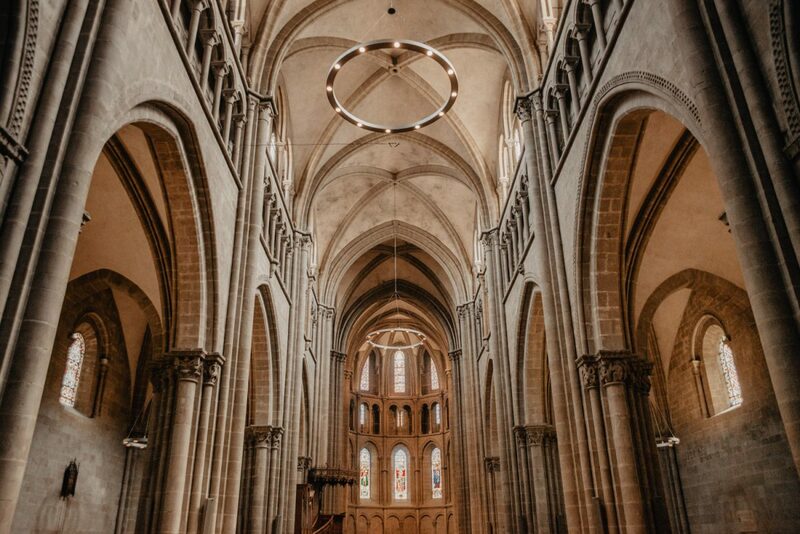 A hidden and easily-missed gem in the city is located inside Saint-Pierre Cathedral. 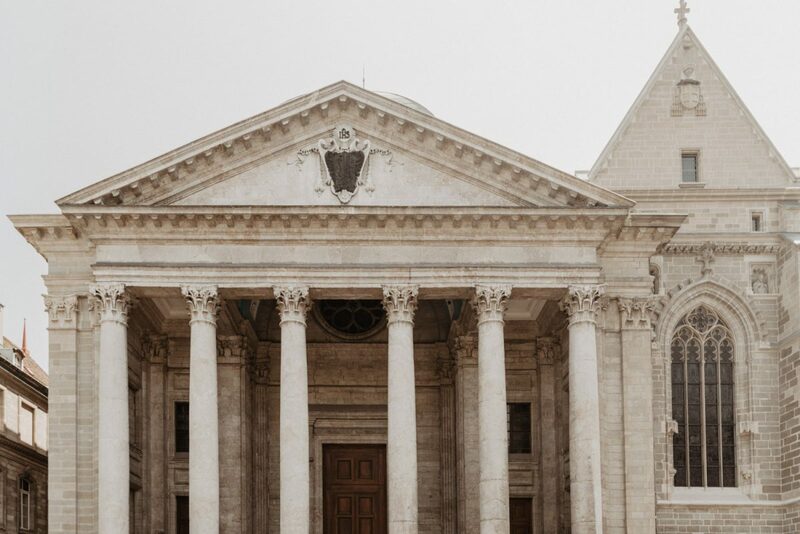 The cathedral itself is beautiful but very grey compared to the beautiful Chapel of the Maccabees. It’s just to the right when you step inside the cathedral. 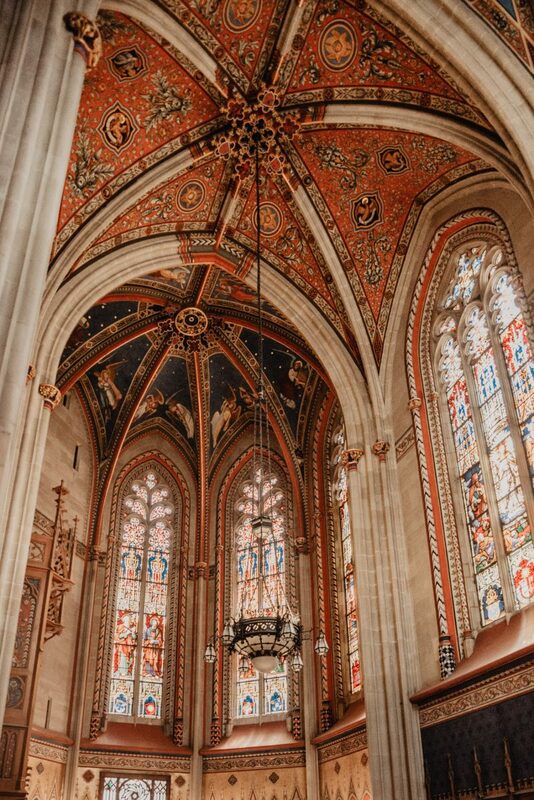 The windows, details, and many colors inside the chapel are beautiful. Visit sunflower fields: While Provence has lavender, Geneva has sunflowers. 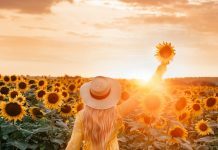 If you are lucky enough to be in Geneva during the sunflower season, rent an electric bike and head out to get some epic pictures by a sunflower field. Just ask the locals for tips! 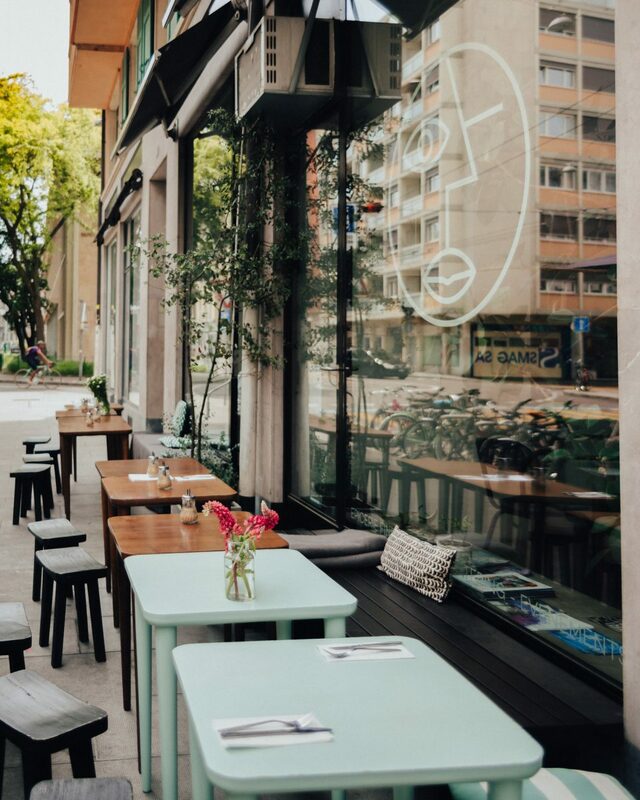 If you want a vegetarian or a vegan meal the hip and chic, Ou Bien Encore is the place to be. 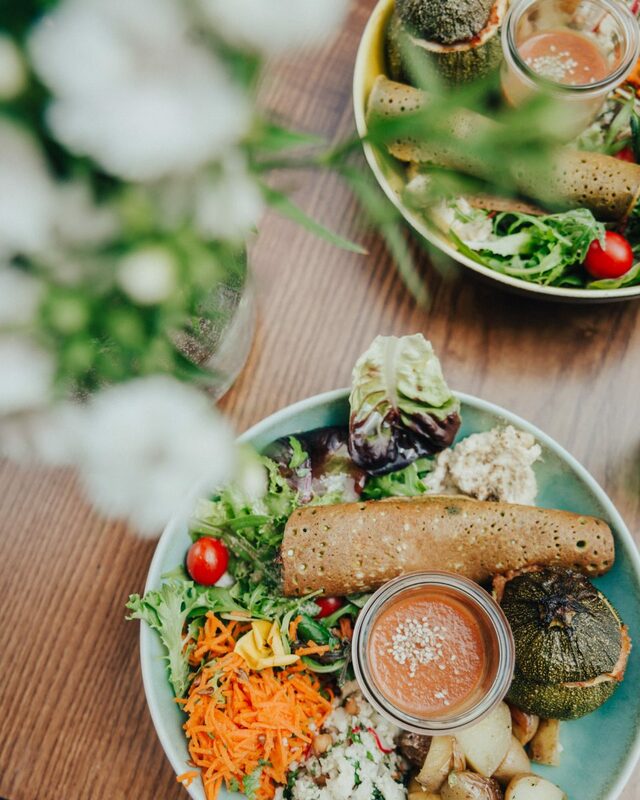 This cute and cozy cafe in Quartier des Bains serves DELICIOUS, healthy, creative and colorful food. I can truly recommend the Sunday brunch, it’s one of the best vegan brunches I’ve ever had. They also have a vegan shop inside and the most amazing-looking vegan desserts. It’s not cheap, but so worth the price. 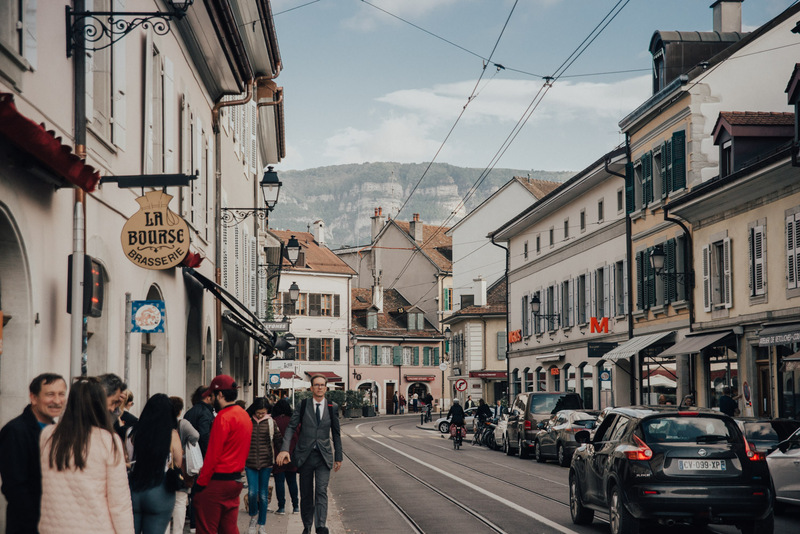 In the heart of Carouge is a place that’s perfect if you want to experience the authentic feels and some traditional food. 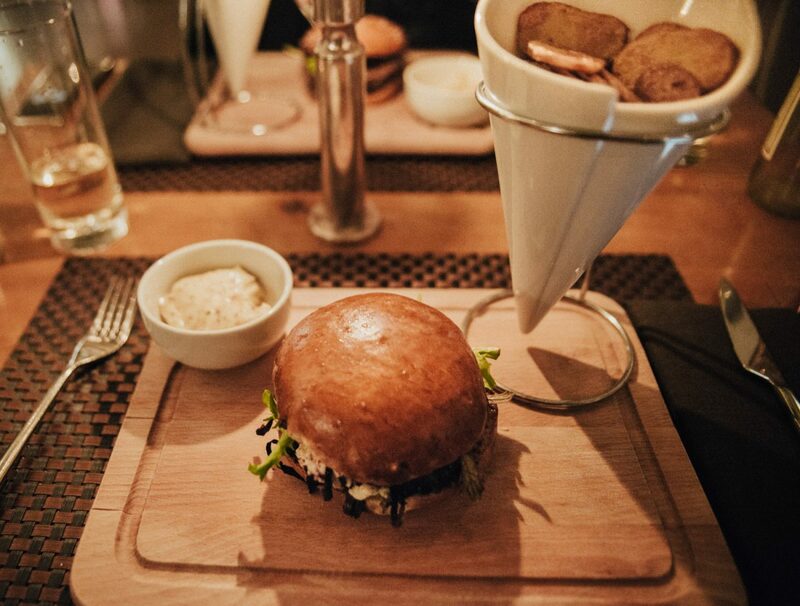 Café des Negociants by Philippe Chevrier is known as one of the best restaurants in Geneva. 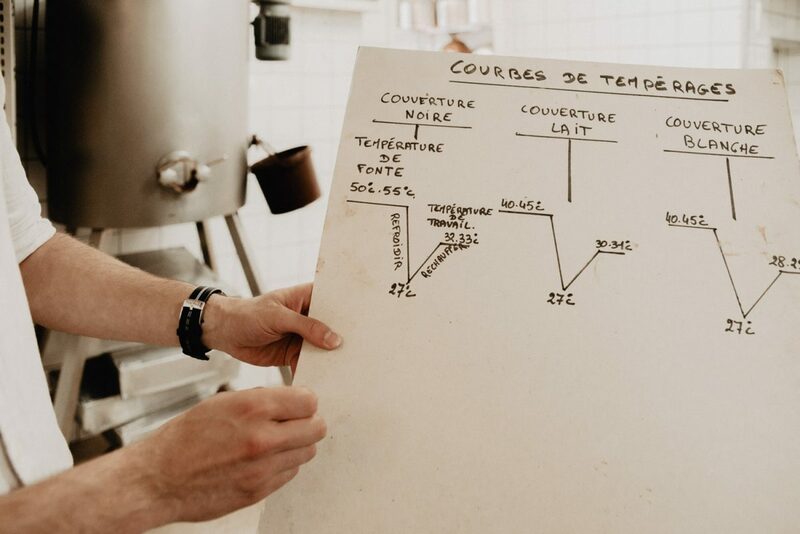 Grab a seat under the terrace umbrellas or indoors, and browse the menu covering everything from snail casserole and pan-fried frog’s legs to market salad and “Les Négociants” beef tartare. Combine it with Swiss wine and cheese, and all I can say is Bon appétit! 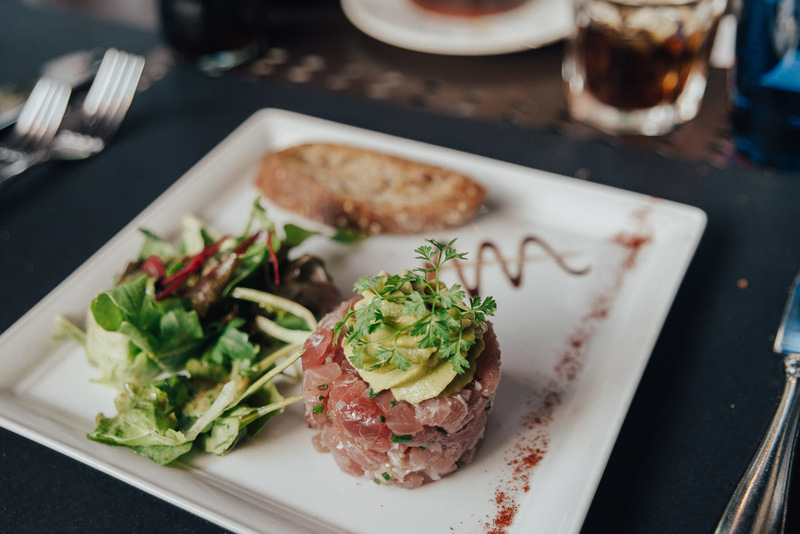 Hidden on the first floor of an apartment building, in the busy quarter of Eaux-Vives L’Adresse, is this cozy and trendy bistro, L’Adresse. 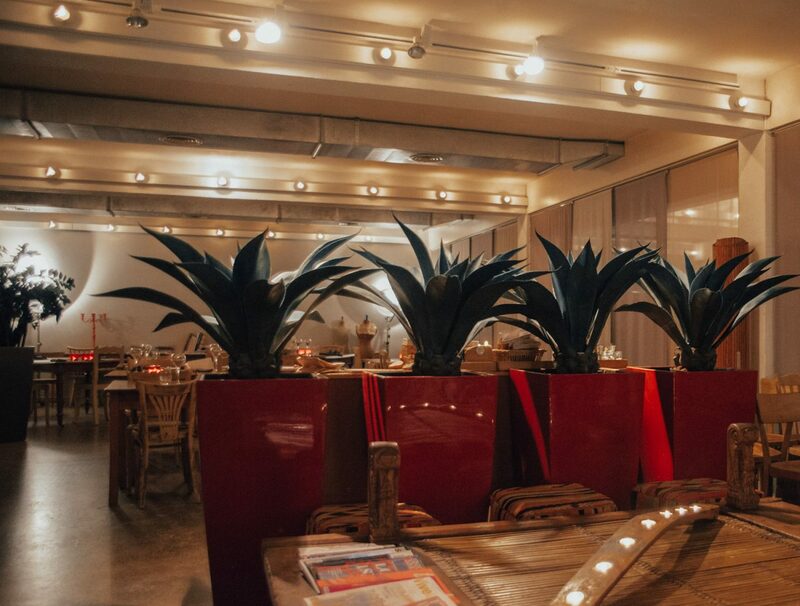 They serve dishes with Mediterranean and Asian accents, light and vegetarian dishes and homemade desserts. It’s a lovely place for a late night dinner, refreshing cocktails or a sunny lunch on the roof terrace. 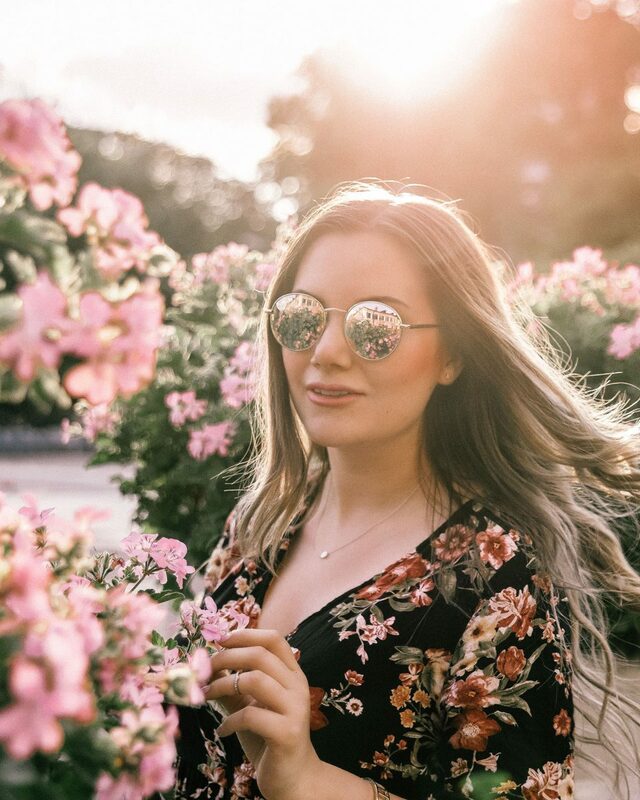 While you wait for the food, check out the L’Adresse fashion store with both local craftsmanship, vintage items and well-known brands. 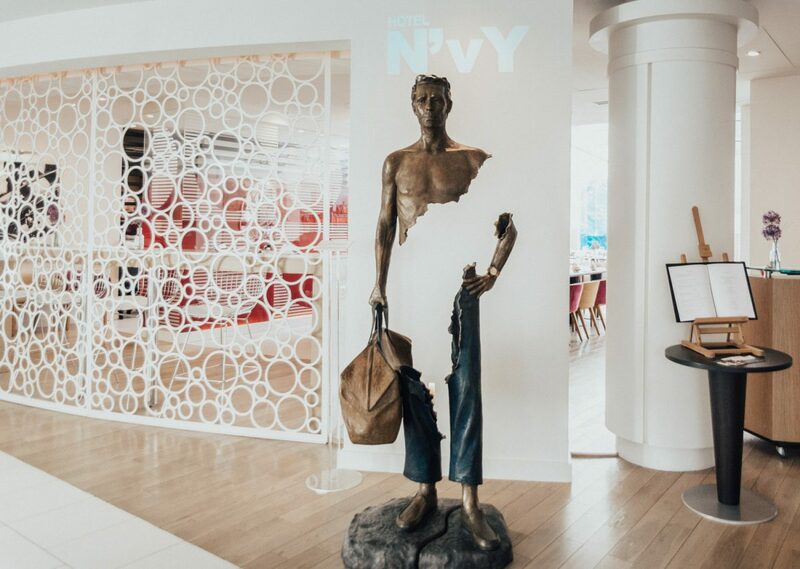 Helena and I stayed at the arty, hip and trendy Hotel N’vy Manotel in the heart of Geneva. 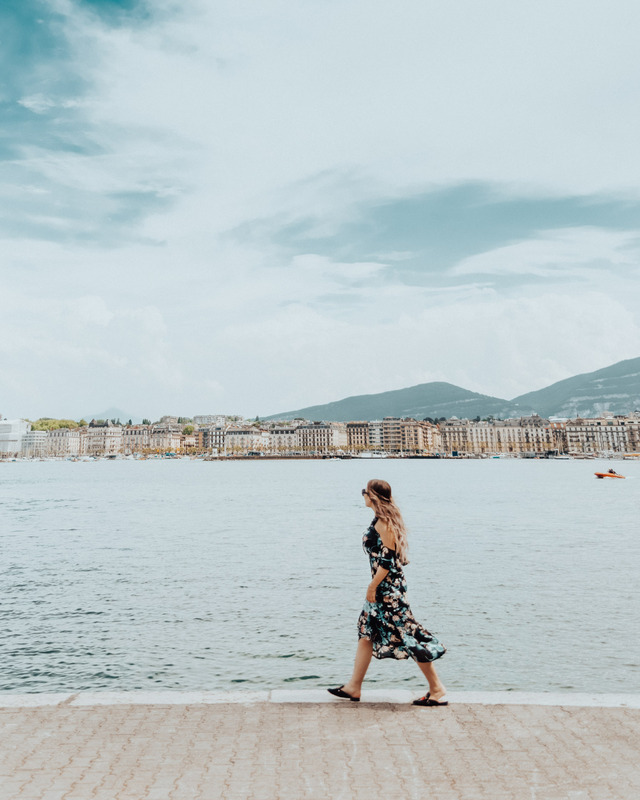 Here you have Lake Geneva, the city center, and the beach, all within walking distance. 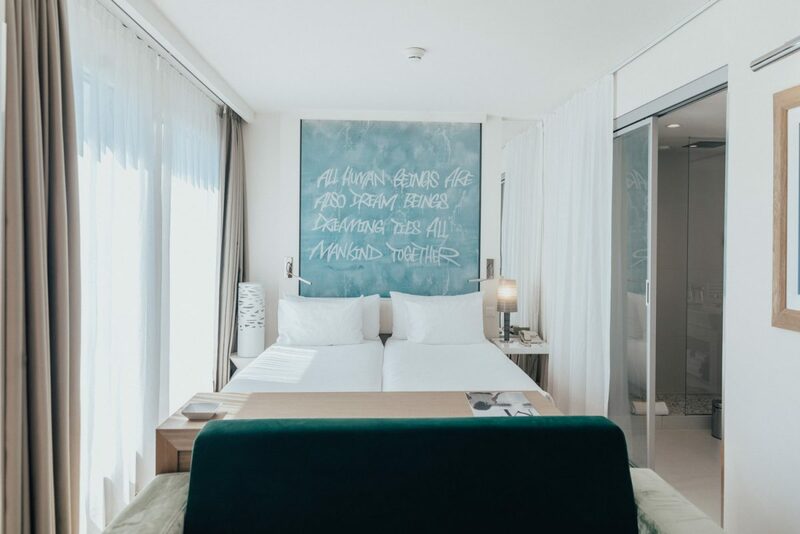 The hotel itself is really cool with a quirky and creative interior, excellent breakfast buffet and modern rooms. Manotel also has other hotels with different themes around the city. In it to pin it? 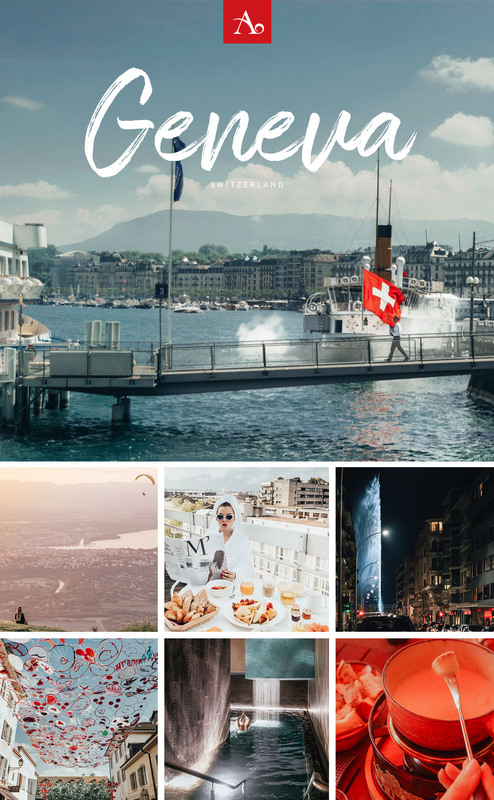 Save my guide to Geneva for later! 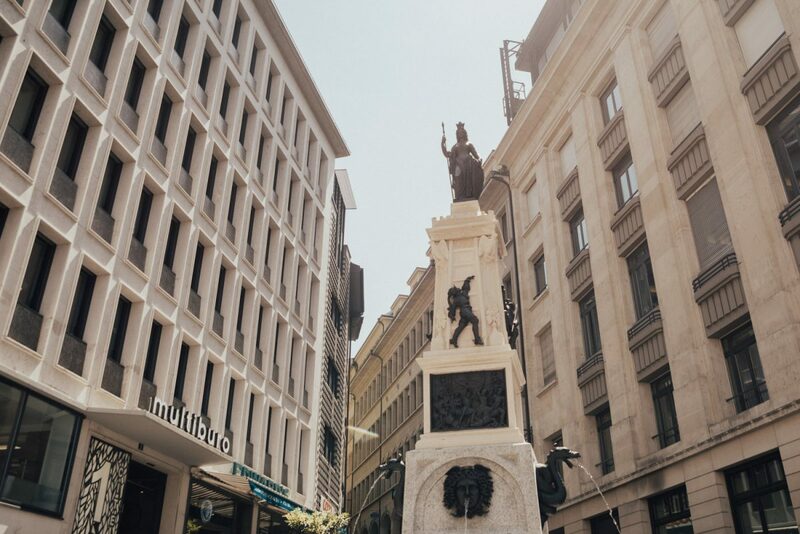 *Disclaimer: I visited Switzerland on a trip organized by Geneva Tourism Board. As always, all opinions are my own.